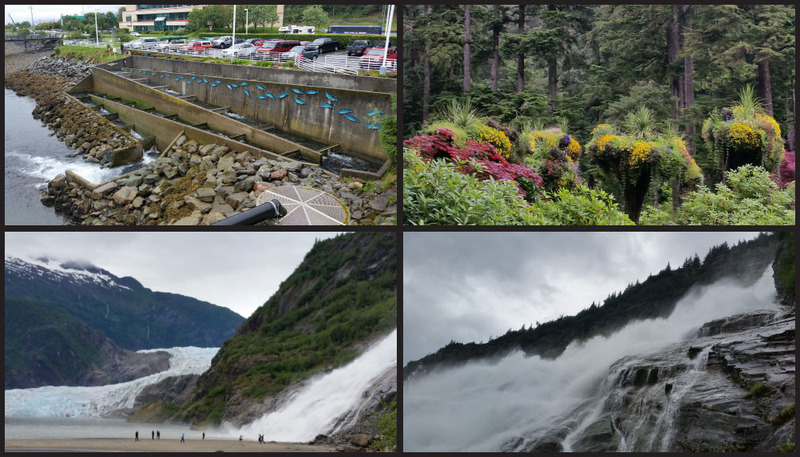 My first adventure in Alaska, or my first port of call was in Juneau. To kick it off I hike to the top of Mount Roberts. This being my first hike I cheated and took the tram car up the first 1800 feet. I was not going to wait for people to go with me. I am here in Alaska for a limited time so I was not afraid to go alone. It is funny I should say I went alone, you guys know I am a people person so I ended up catching up with this couple from another ship and they were on the same path I was. It was great because it was dangerous to hike alone. We were basically up in the cloud cover. It was wet and most of the time you could only see about 10 yards in front of you. However there were plenty of clear moments as well and the views from up on the mountain tops were absolutely gorgeous! There were these hoary marmots everywhere too. Picture a very large and fat ground squirrel and that’s what these cute little creatures were. 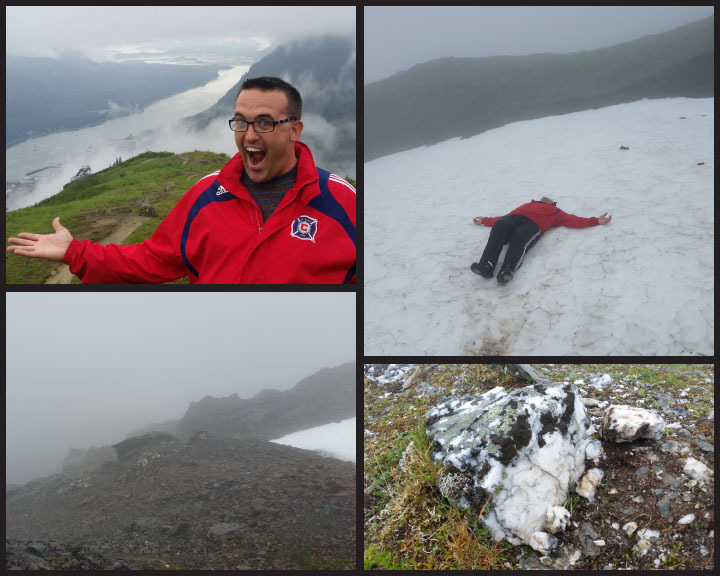 Also on our hike we saw ice and snow in the mountains. At one point we found one piece that was safe enough to slide down! So much fun and the fact that we were a group now we were able to get all these amazing pictures for each other. My most favorite part aside from the view and the wild life was Mount Roberts was bursting with minerals. Quartz was just extruding from the mountain everywhere. At times this beautiful white stone was littering the trails. I also found a small piece of jade, one of the gemstones Alaska is known for. The jade mines are all closed but you can still find it on the mountain sides. As a reward for all the hiking I did I ate the biggest plate of crab nachos I have ever seen! 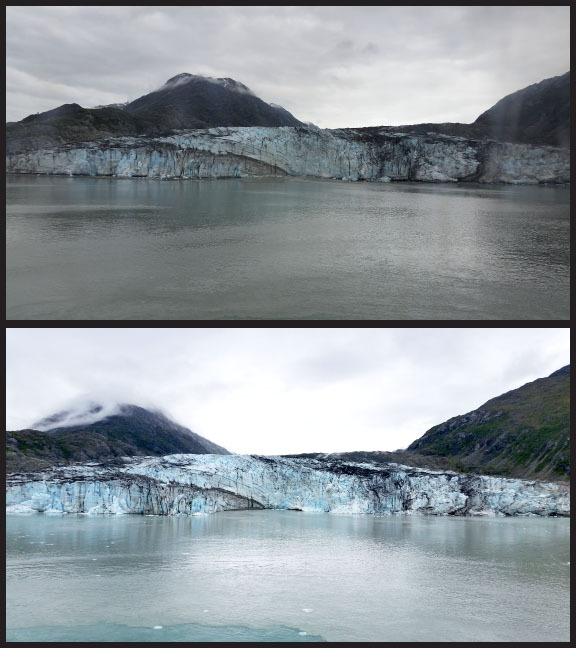 The beauty of my working trip to Alaska is I come back to each port several times. The normal cruiser can only come here once and pick one thing to do. 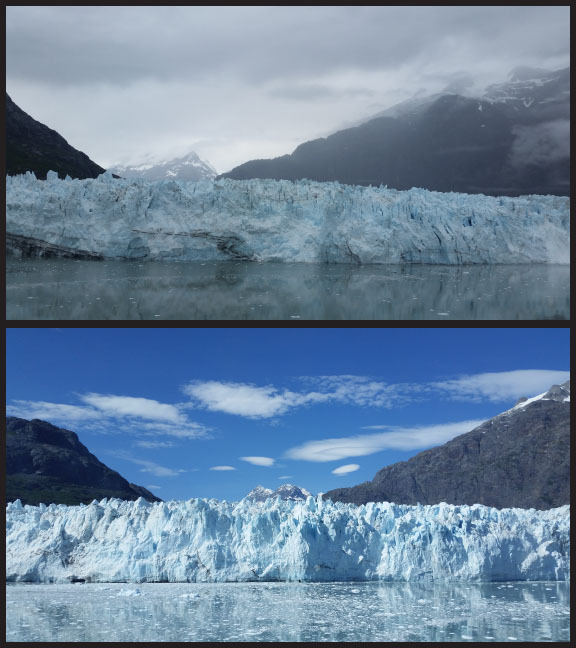 I came back again this time I took a tour of a salmon hatchery, the Glacier Gardens, and Mendenhall Glacier! What an amazing day. I learn so much about Salmon and their part in our circle of life. The hatchery was a nonprofit organization trying to balance the ecosystem with the salmon. Now it was off to the gardens of the Alaskan rainforest. What a beautiful site. The couple that started these gardens years ago came up with this great Idea for hanging gardens. They had taken fallen trees and turned them upside down and made them large natural flower pots! 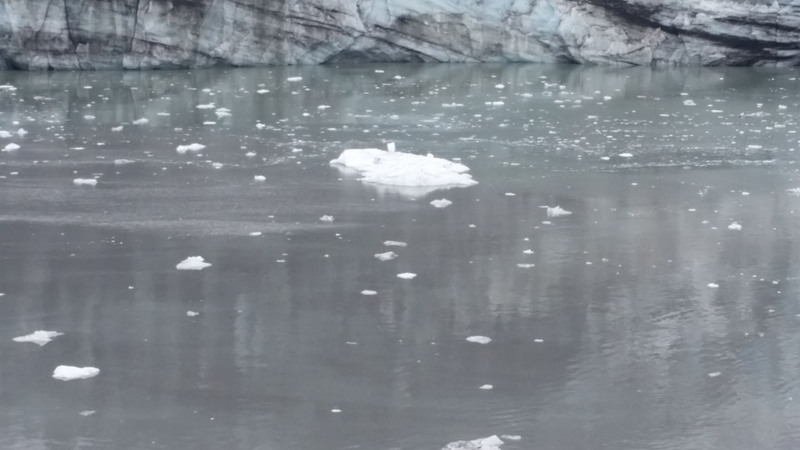 Lastly it was off to the glacier. 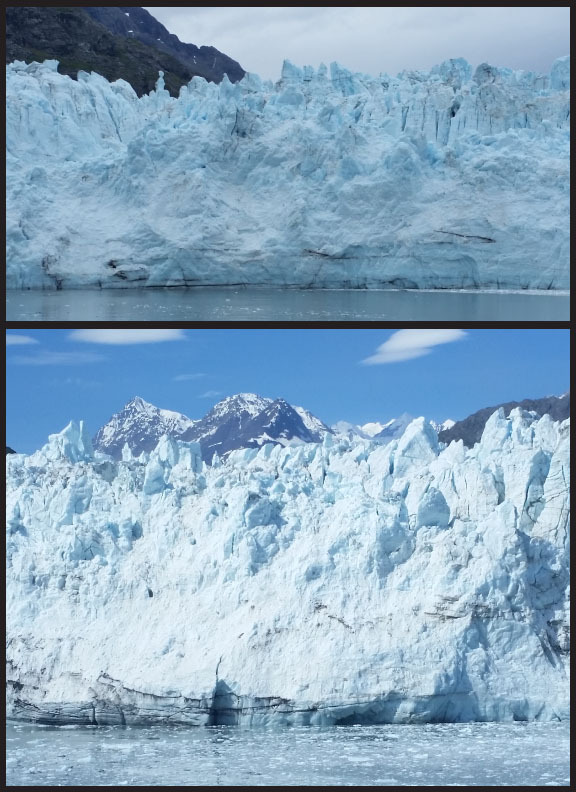 What a beautiful site to see and this was the first of many glaciers I saw on my trip. Right next to it was a beautiful waterfall that you could walk right up to, so naturally I did. 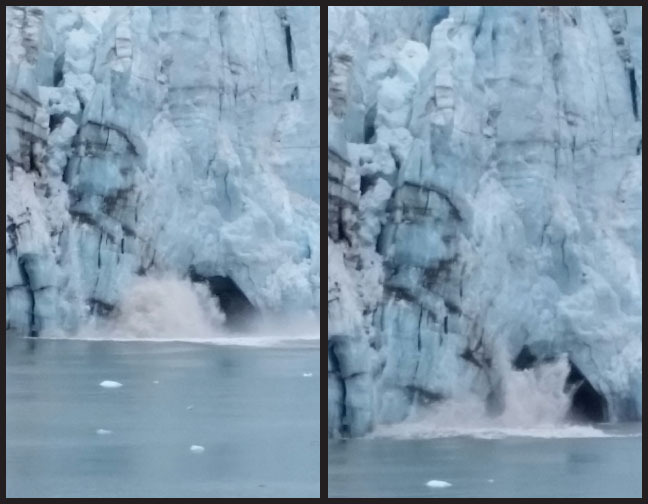 The shows not over yet in Juneau! 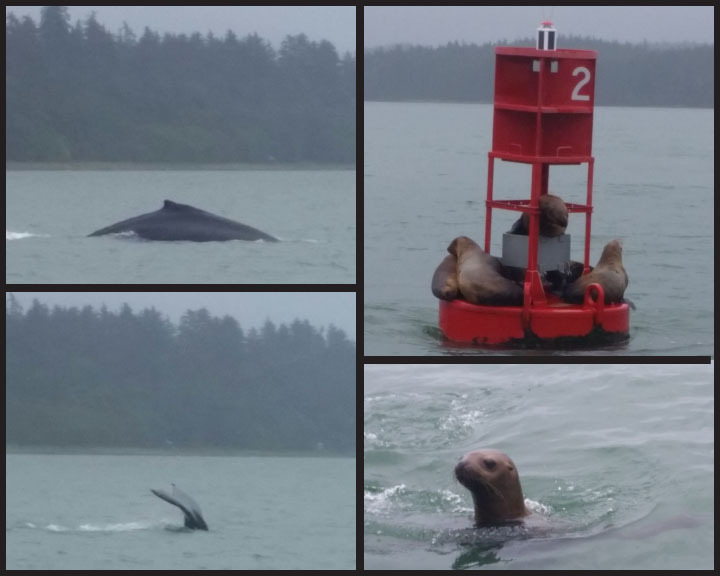 It was time for some rainy day whale watching. I think the guest loved having me on the tour I was the token whale spotter. There was so many! I stopped trying to get pictures and just enjoyed the fun these whales were having fun jumping in and out of the water. What an amazing site to see and as if the whales were not enough we saw some sea lions as well. We did not stay to long because these big guys were lazy and they wanted to board our boat to relax! When you cruise, you can count on every port you stop at to be full of shops and souvenirs. I made a quick pass thru my first time but that was it! 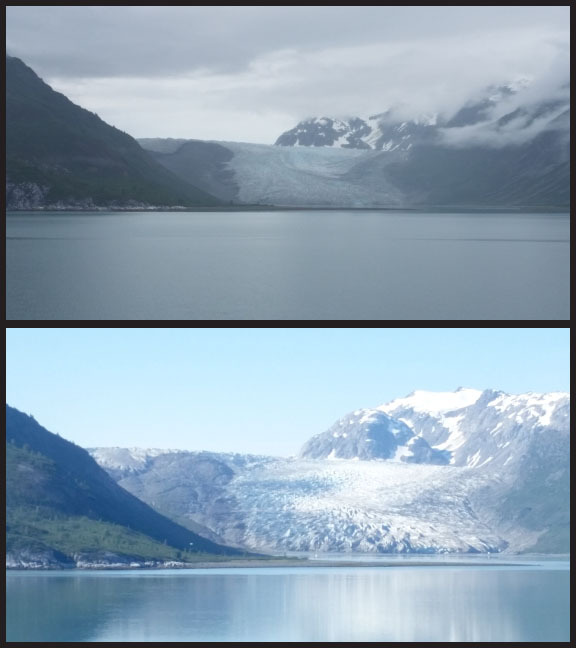 I was here to see nature; the mountains, the water, the wild life and the glaciers. There was still more stops on our trip. My next post will be Skagway. I hope you enjoy the stories and pictures. I know these posts are off topic of my ultra positive posts but hey it’s my blog and adventures are a part of a positive life. I am grateful to be able to share my journey with you.